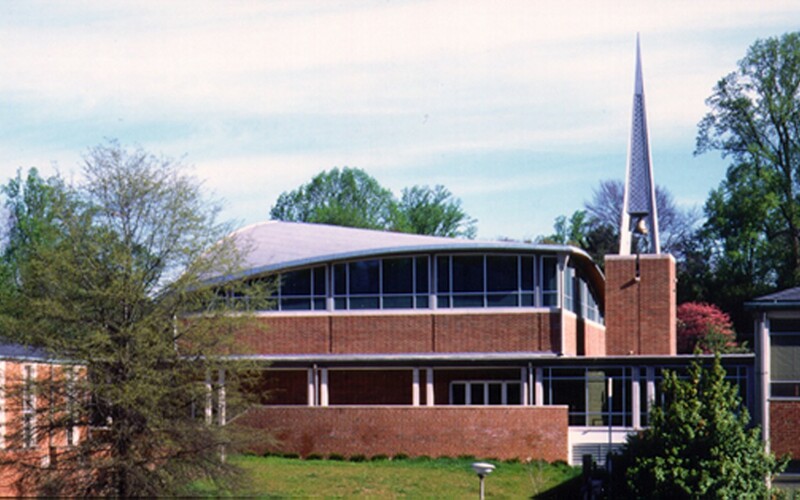 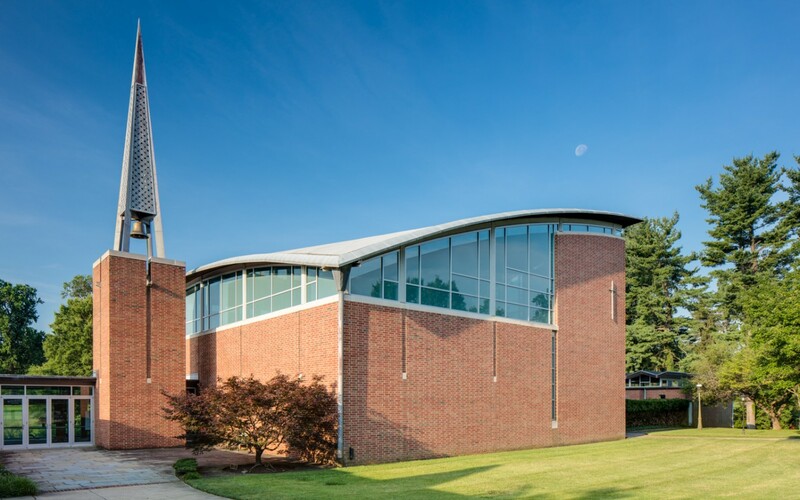 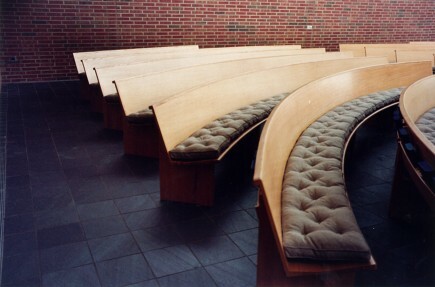 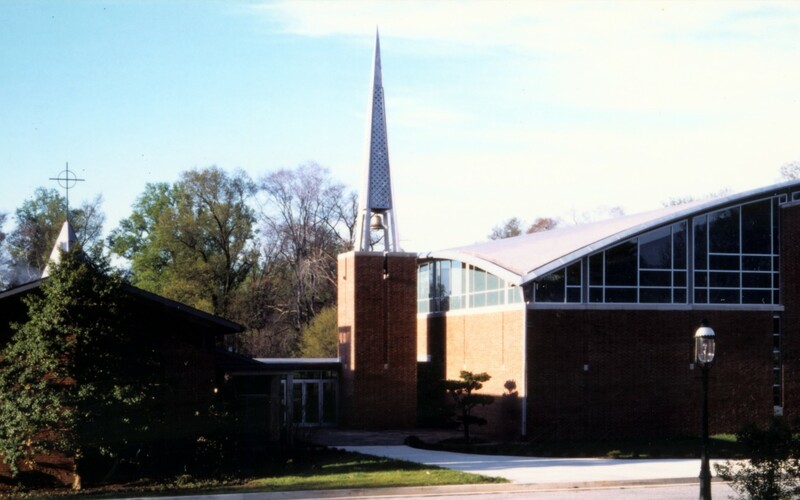 In 1960, the Brown Memorial Woodbrook Presbyterian Church completed two buildings on a seven-acre site in Baltimore County. 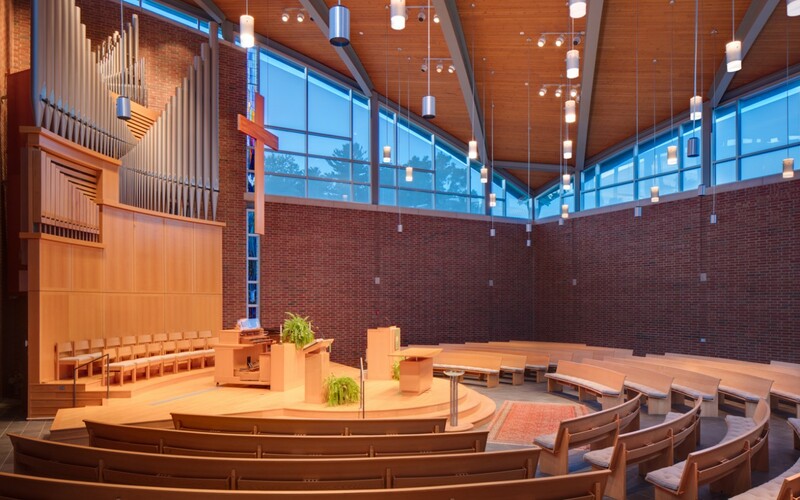 But the sanctuary envisioned by the church was never built. 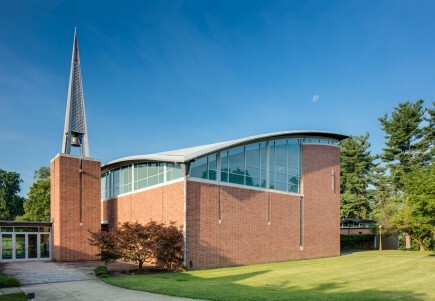 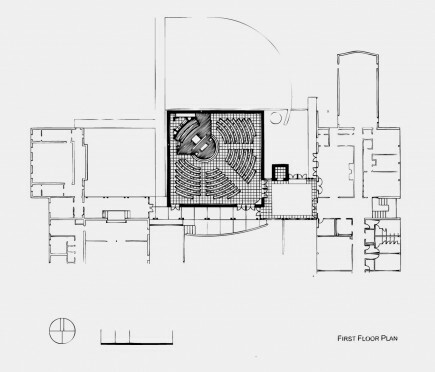 Ziger/Snead was hired to design a new worship hall and connect it to the existing buildings. 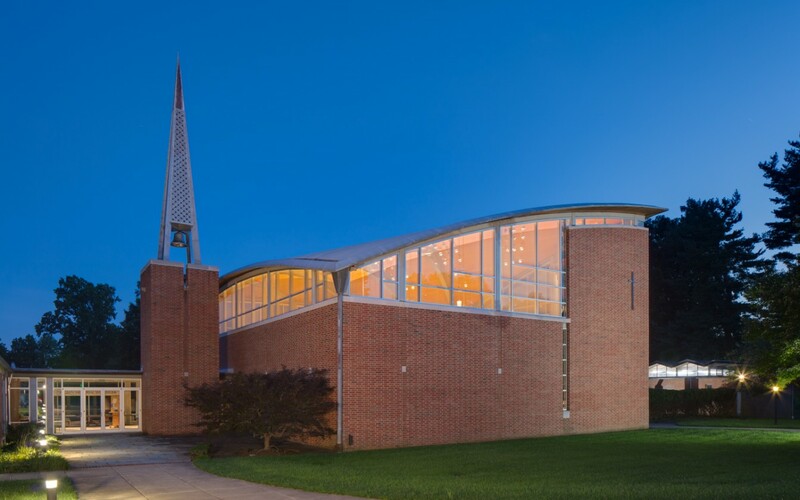 The new 300-seat sanctuary repeats the simple brick architecture of the surrounding structures while creating an uplifting and dramatic symbol for the church that can be seen from a distance. 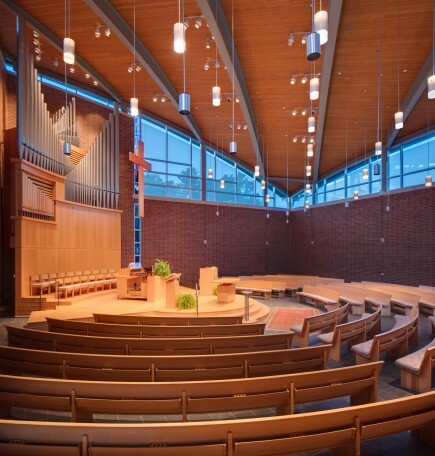 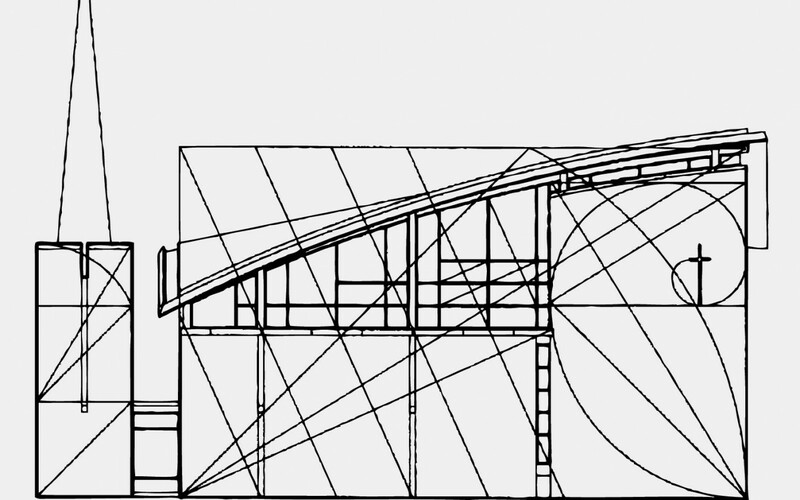 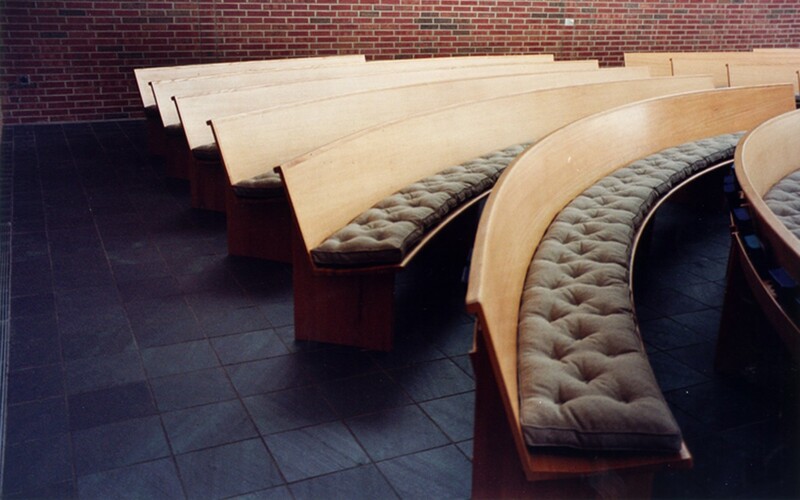 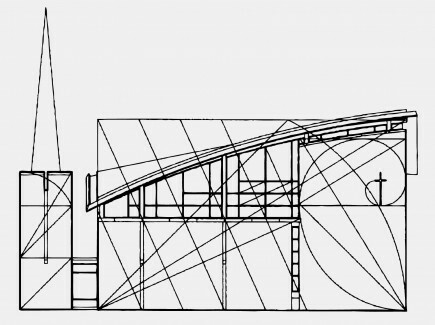 Its vaulted, curved roof tilts outward to the community and encloses a soaring, light-filled space inside. 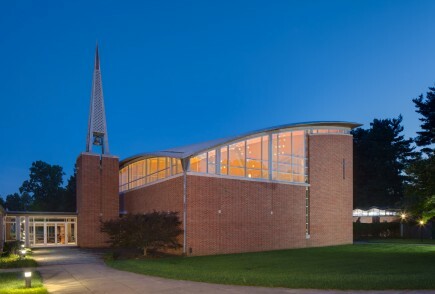 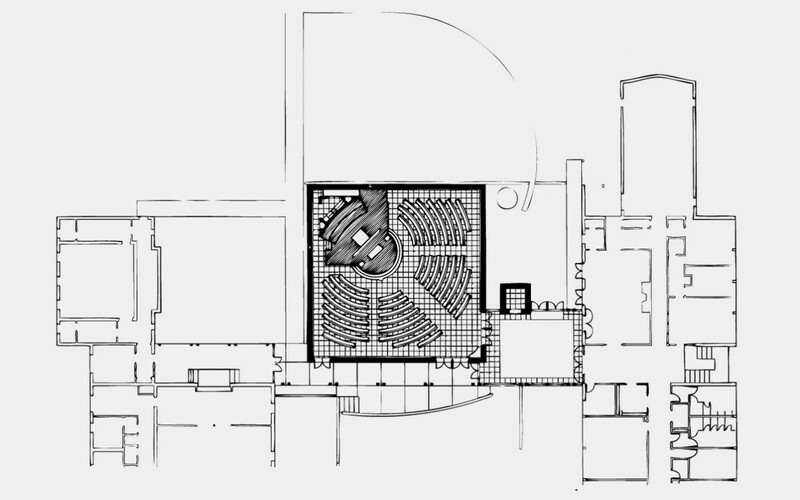 A simple bell tower to one side of the sanctuary orients the visitor by marking the entrance to the reconfigured church complex.